OLD SHEFFIELD PLATE SILVER INK STAND, CIRCA 1780. 18TH CENTURY OLD SHEFFIELD PLATE SILVER INK STAND, CIRCA 1780. 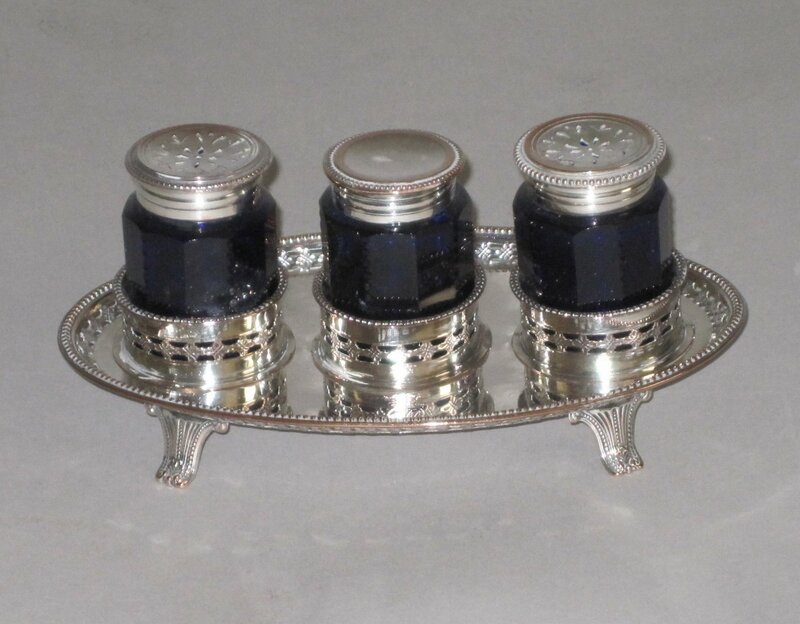 Bright cut & pierced, the oval stand raised on four leaf feet and with three round receptacles for three blue cut glass and lidded bottles, two sanders and one ink.